Avoid tear off and recoating expense. 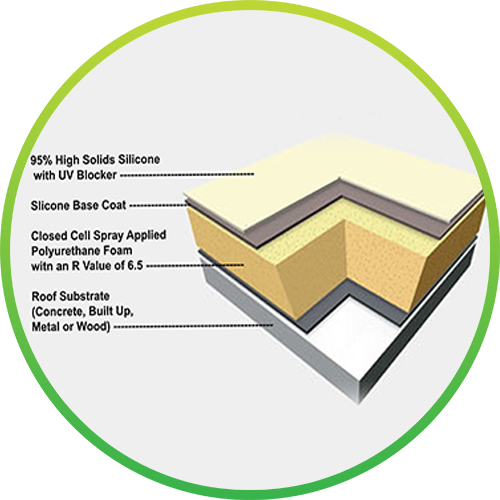 Closed Cell Spray Applied Polyurethane Foam (ccSPF) with a silicone UV protective top coat has met the US military demands for a leak free performance in the Pacific region. 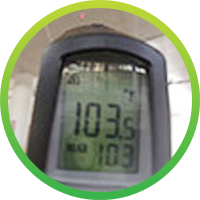 It has the most efficient insulating properties available. 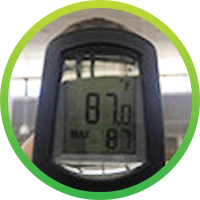 Air conditioning heat loads are typically reduced by 70% to 90% when using ccSPF instead of a built-up or galvanized roof. 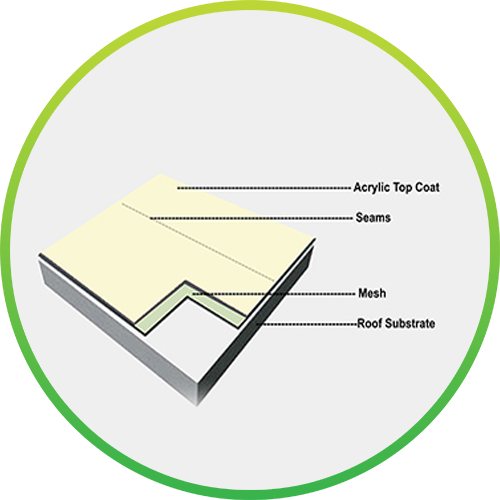 In tropical areas, ccSPF will lower the temperature of the roof deck and maintain your structure cooler longer than other insulations because there is no thermal bridging. metal, wood, concrete or built-up.